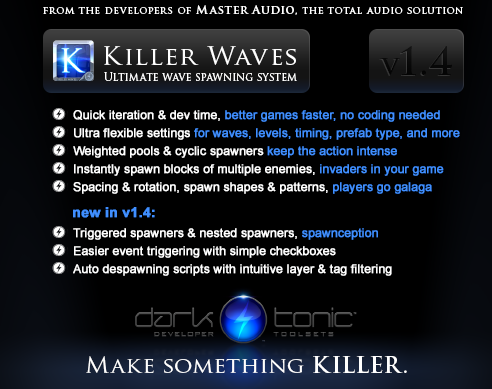 Dark Tonic Games Studio: Killer Waves v1.4 is finally here! Killer Waves v1.4 is finally here! Lots of new features to make development easier, faster, and more fun. Grab the update now!